Retailers are constantly looking for new ways to attract customers. Having a store in a really cool shopping mall is one way to do this. Shopping malls are no longer just buildings that house shops, they are fantastically designed works of art. Some shopping malls are more like amusement parks than places to shop. Many of these malls attract visitors just because the buildings are so cool. You might think you can just drop and and purchase an item that you need but you will have trouble tearing yourself away! 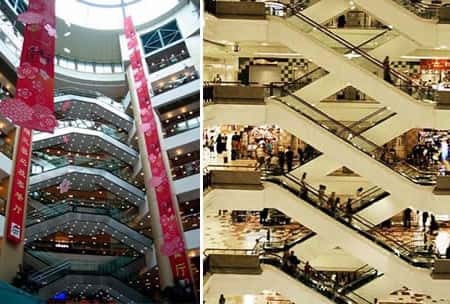 Here are the Top 10 Most Amazing Shopping Malls in the world. 1. 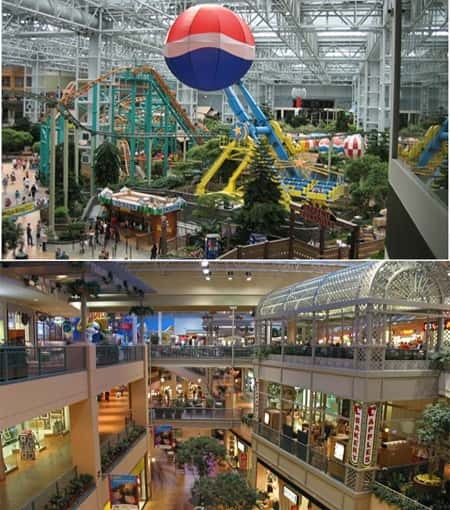 Mall of America (Minnesota, USA) boasts 4200 200 square feet of retail space. It is huge! There is a theme park and a wedding chapel in this giant mall. 2. 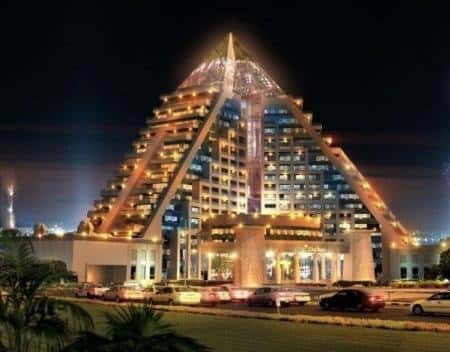 The Mall of the Emirates (Dubai) is a shopping resort that also features entertainment attractions. 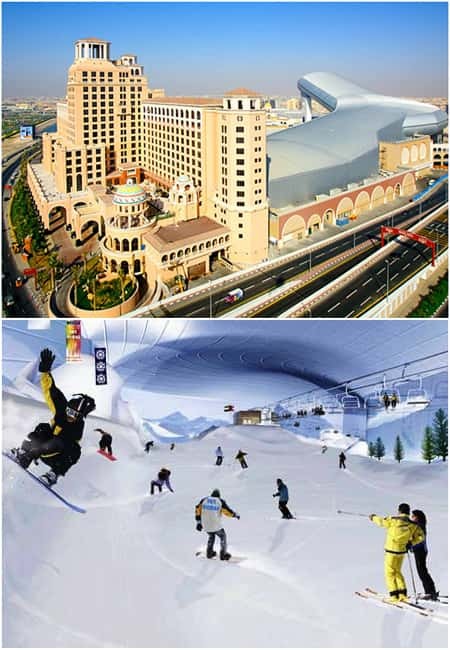 It is home to Ski Dubai which is the first indoor ski destination located in the area. 3. 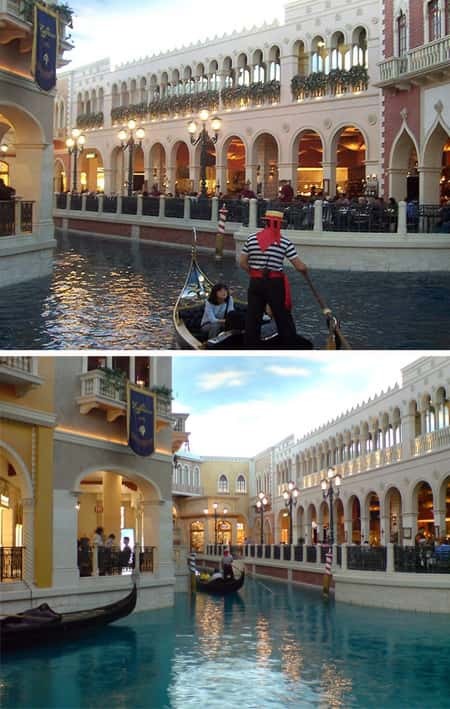 The Grand Canal Shoppes (Las Vegas, USA) feature indoor canals and Venitian style Gondalas to transport visitors around the mall. 4. The Wafi Mall (Dubai) features over 350 stores. It offers the worlds most unique and valued brands some of the products are not available anywhere else in the world. 5. 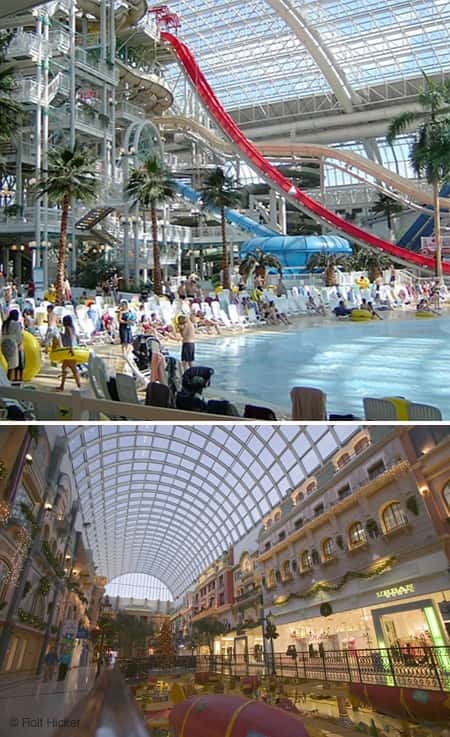 West Edmonton Mall (Alberta, Canada) is the largest mall in North America. It is home to a water park featuring the largest wave pool in the world. 6. 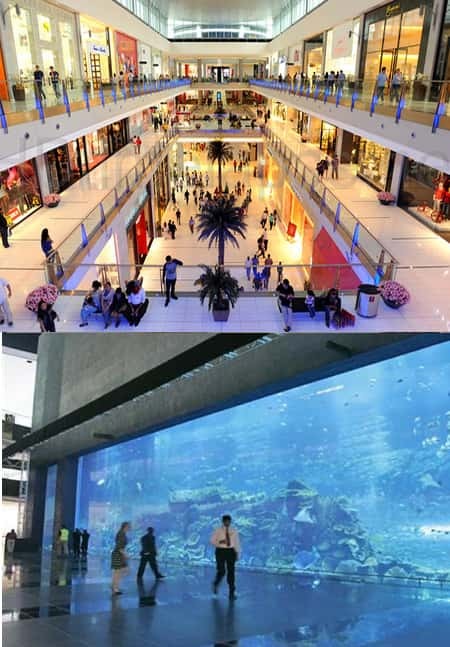 The Dubai Mall (Dubai) occupies more area than any other shopping mall in the world. There is an aquarium in the mall which features the world's largest acrylic panel. 7. 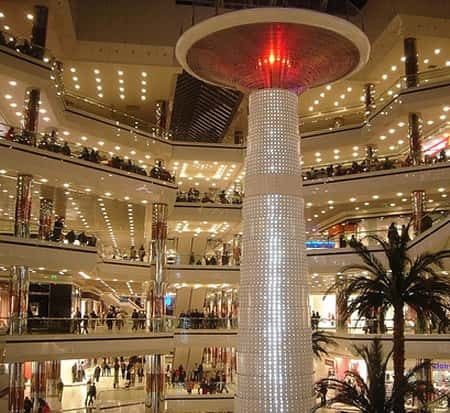 The Istanbul Cevahir (Istanbul, Turkey) is the biggest shopping mall in Europe. Featuring 50 restaurants, 12 cinemas and much more. 8. 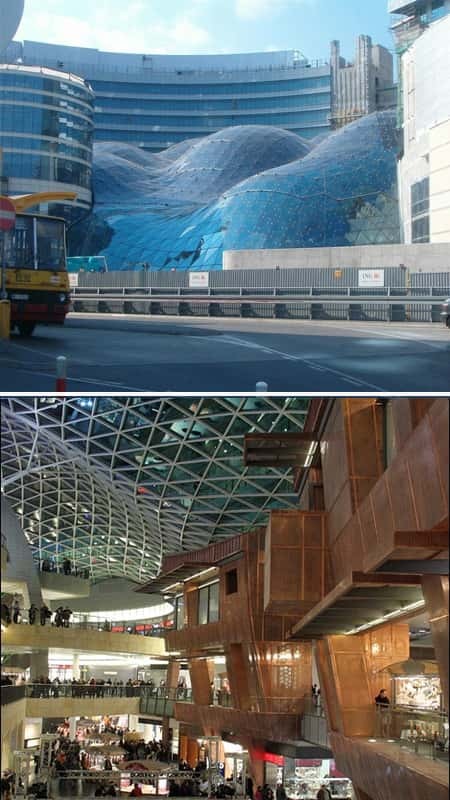 The Zlote Tarasy Mall (Warsaw, Poland) is a complex housing commercial, office and entertainment. 9. 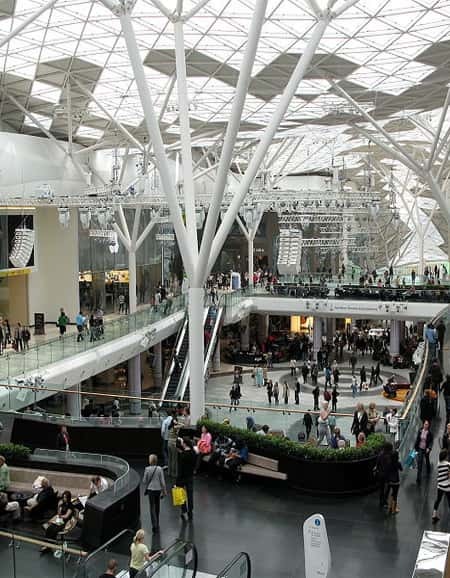 The Westfield London Shopping Centre (England) was listed as being the 3rd largest in the UK when it opened in 2008. 10. The Beijing Mall (Beijing, China) is one of the biggest in the world and also one of the most luxurious.